Ever wonder what lies deep beneath the waters near the South Pole? 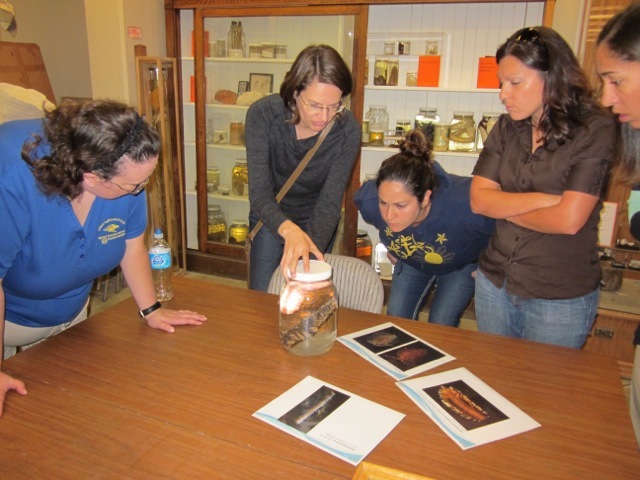 At the Scripps Institution of Oceanography (SIO), local biology teachers are taking a look at Antarctic marine invertebrates and the role geography plays in connecting these populations from South America to Antarctica. Spearheaded by Cheryl Peach, director of Scripps Educational Alliances, along with the San Diego Science Project and the CREATE STEM Success Initiative, SIO researchers are providing biology teachers with authentic science experiences they can use to create dynamic science classes for their students. At SIO, Drs. 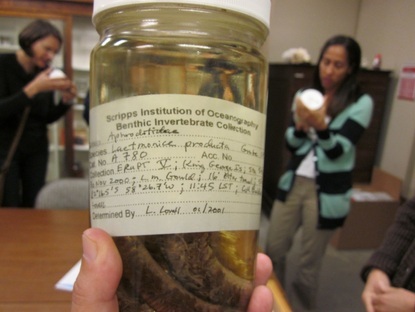 Nerida Wilson, Greg Rouse and Ron Burton are investigating the role the “Scotia Arc” plays in connecting benthic (deepest sea level) marine invertebrate populations from South America to Antarctica. 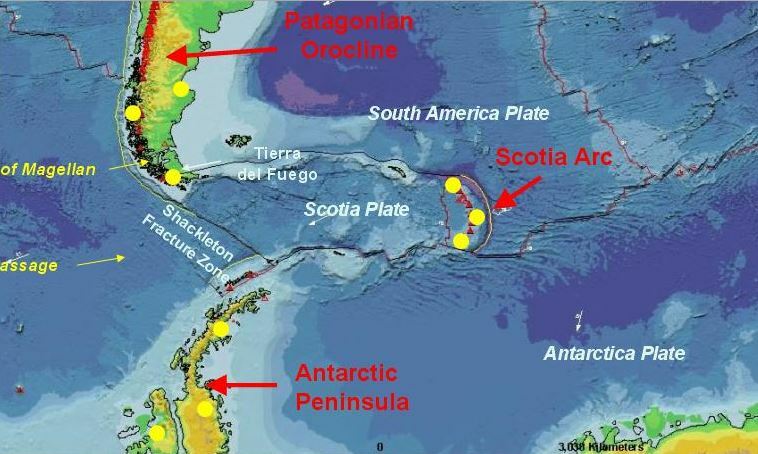 The Scotia Arc is an island arc system forming the north, east and south border of Scotia Sea, to Antarctica; these researchers are determining relationships between species of starfish and sea worms found at the tip of South America, in the deepest levels of the sea. In the research field, this work is helping to contribute to understanding biodiversity in Antarctica. For teachers, it’s a perfect vehicle for exploring methods of analyzing and interpreting scientific data, one of the science and engineering practices within the Next Generation Science Standards. 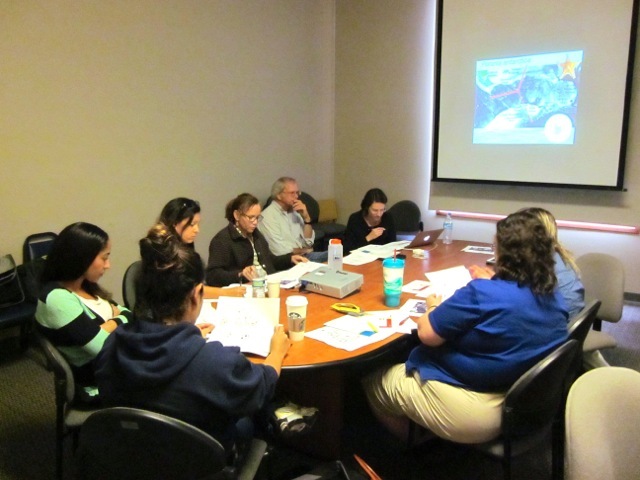 To start their professional development experience, teachers spent a morning focused on the professors’ research on Antarctic marine invertebrates. Dr. Wilson described the research proposal, motivation for the work and the experiences while at sea collecting and analyzing species. She then presented actual research data to the teachers, asking them to analyze it to determine the geographic barriers between species in the region. Dr. Wilson then discussed the teachers’ findings, comparing them to SIO’s own findings. After lunch, the teachers spent time discussing the relationship of their morning work to the NGSS, and learning about the lesson study process. The group will meet next to collaboratively plan an exemplar lesson to incorporate the Rouse/Wilson/Burton research and NGSS science and engineering practices. “It’s always a great experience and very motivating to work with like-minded teachers. To be in a room with other teachers who want to improve their craft and deconstruct the teaching process is very empowering,” said one participant. In December, the group visits Jocelyn Broemmelsiek’s classroom at San Dieguito High School Academy to observe her teaching the Antarctic marine invertebrate lesson. Afterward, the group will discuss and revise the lesson. Next semester, another teacher will present and videotape the revised lesson for further analysis and final revisions. 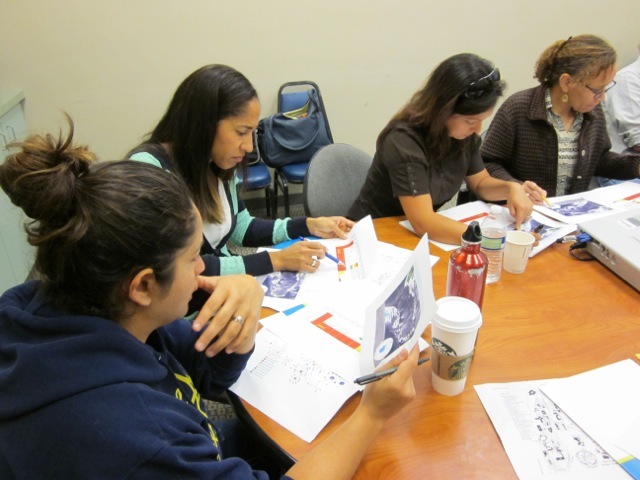 The Science Project will then share the lesson with more teachers in the San Diego education community. Such effort to design and spread deep professional development experiences linking faculty and San Diego teachers is key to the CREATE STEM Success Initiative, a UC San Diego effort to leverage university resources to support K-20 STEM education in our region.